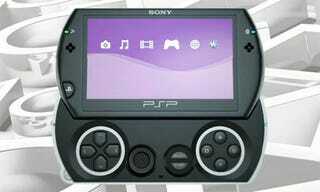 At last year's E3, Sony introduced us to the PSPgo, the digital download only version of its PlayStation Portable. What did Sony learn from the release of the device? Well, "consumers like their packaged media library" for one. Sony Computer Entertainment Europe president Andrew House tells MCV that the PSPgo was, in part, something of an experiment. Says House, "It was introduced in a mature lifecycle to learn more about what the consumer wanted and we've definitely learnt a lot." The SCEE boss says the portable was a study in "where that consumer behaviour was going," that Sony was "getting signals from consumers that this was the kind of device that they wanted."